117---10 Jun 2016 Affiliation Letter : For B.Ed. (Two Year Course) - Aadhya Mahavidyalya, Jhsagri Road, Bamhori Kheda, Garahakota, Distt. Sagar M.P. 90---03 Jun 2016 Affiliation Letter : For B.Ed. (Two Year Course) - Pt. Devprabhakar Shastri B.Ed. Mahavidyalya , Gathewara, Distt. Chhatarpur M.P. 84---13 Apr 2016 Time Table : MSc. Biotechnology/Industrial Microbiology/BCA/PGDCA First Semester Examination Dec. 2015-16. 52---13 Feb 2016 Syllabus For Private : M.A. History Ist & IInd Sem. 51---13 Feb 2016 Syllabus For Private : B.A. History Ist & IInd Sem. 47---05 Feb 2016 Syllabus For Private : M.A. M.Sc. Mathamatics Ist & IInd Sem. 46---04 Feb 2016 Syllabus For Private : B.A./B.Sc. Mathamatics Ist & IInd Sem. 45---04 Feb 2016 Syllabus For Private : B.Sc. Botony Ist & IInd Sem. 42---01 Feb 2016 Syllabus For Private : B.Sc. Chemistry Ist & IInd Sem. 41---27 Jan 2016 Syllabus For Private : M.A. Economics 1st Sem. 40---27 Jan 2016 Syllabus For Private : B.A. Economics 1st & 2nd Sem. 39---27 Jan 2016 Syllabus For Private : B.Sc. Zoology 1st & 2nd Sem. 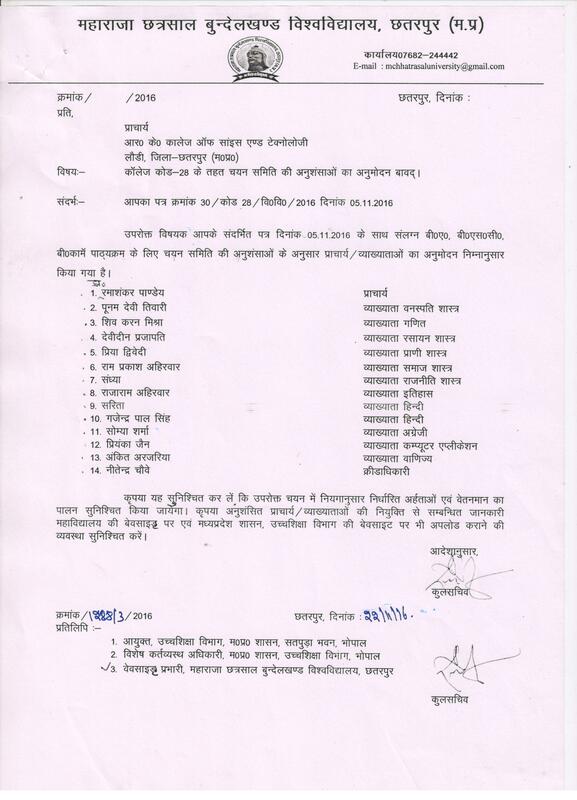 38---27 Jan 2016 Syllabus For Private : B.Sc. Physics 1st & 2nd Sem. 37---27 Jan 2016 Syllabus For Private : M.A. Hindi, First Sem. 35---27 Jan 2016 Syllabus For Private : M.A. Political Science 1st & 2nd Sem. 34---23 Jan 2016 Syllabus For Private : B.A. Political Science 1st & 2nd Sem. 33---16 Jan 2016 Syllabus For Private : M.A. Sociology 1st & 2nd Sem. 32---16 Jan 2016 Syllabus For Private : B.A. Sociology 1st & 2nd Sem. 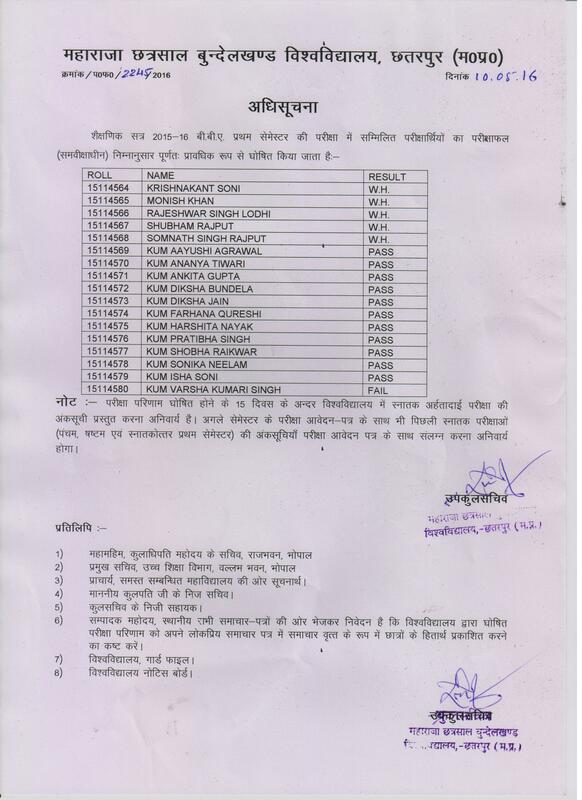 31---16 Jan 2016 Syllabus For Private : M.A./M.Sc. Geography 1st & 2nd Sem. 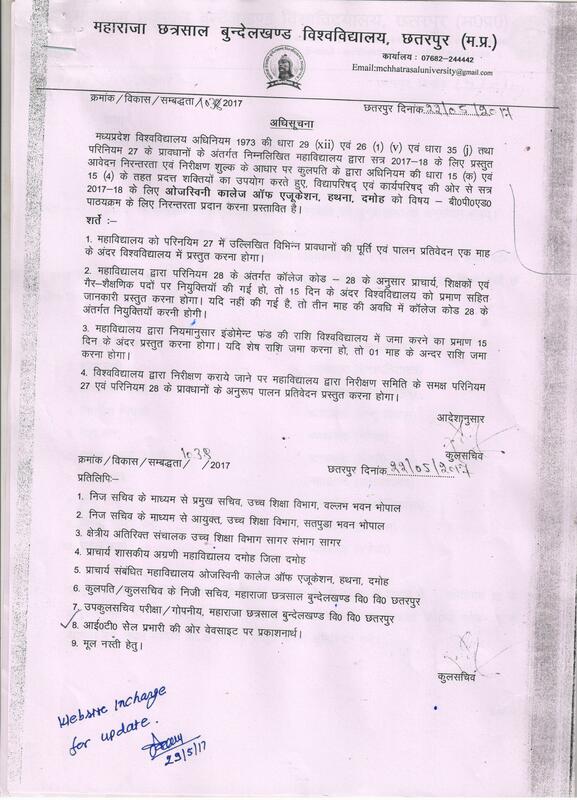 29---13 Jan 2016 Syllabus For Private : B.A./B.Sc. Geography 1st & 2nd Sem. 28---13 Jan 2016 Syllabus For Private : B.A.Music 1st & 2nd Sem. 27---13 Jan 2016 Syllabus For Private : M.A. Sanskrit 1st & 2nd Sem. 20---18 Dec 2015 Time Table : BBA/B.Lib./M.A. Philosophy/M.Lib. & Inf.Sc./B.Ed./M.Ed./MBA - First Semester Examination 2015-16. 18---05 Jan 2016 Time Table : LL.B./LL.M. First Semester Examination 2015-16. 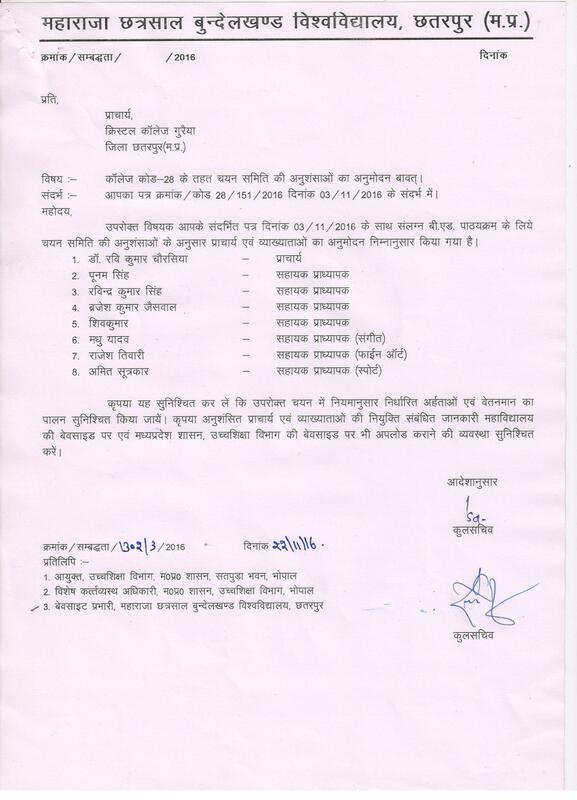 13---13 Jan 2016 Syllabus For Private B.A. Sanskrit 1st & 2nd Sem. 12---27 Jan 2016 Syllabus For Private : B.A./B.Sc./B.Com/B.H.Sc., 1st year Foundation Course First Sem.